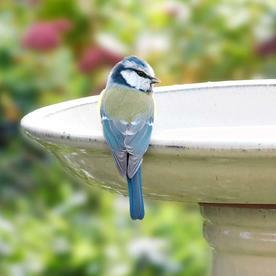 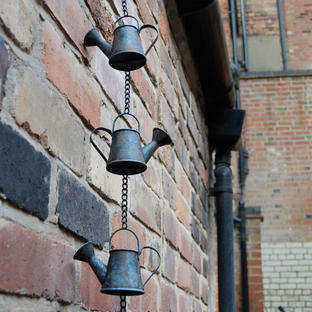 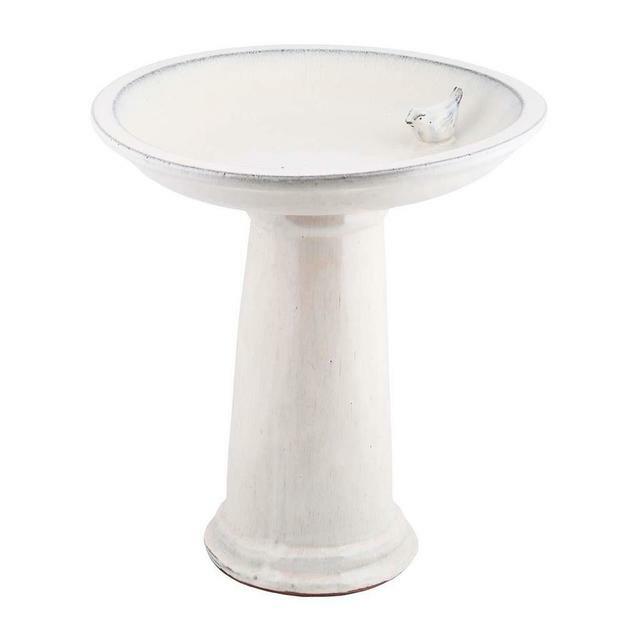 Simple but classically styled bird bath, always aim to keep your garden birds fed and watered. 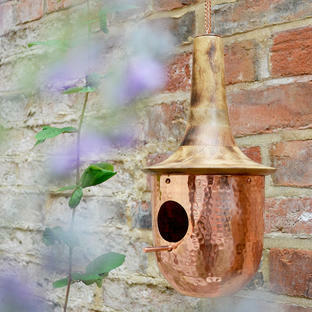 Give your feathered friends somewhere to rest and drink all year round. 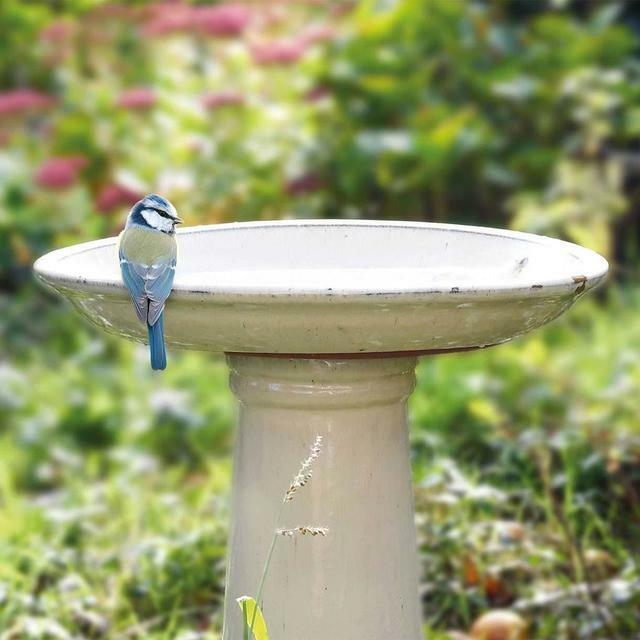 Made from terracotta the bird bath with stand is glazed in a deep off white colour, ideal to blend into most garden styles. Birds need water all year round, even in the winter months, remember to top up the water regularly with fresh water. 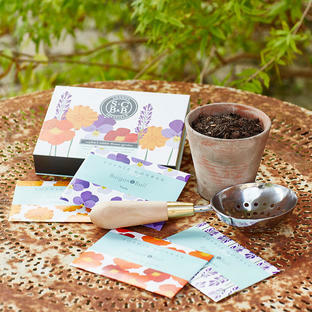 Made from terracotta with a rich cream glaze, with a distressed finish. 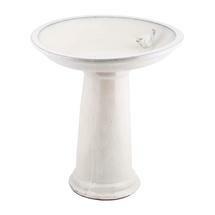 The sand and bath are in 2 parts with the top bath portion connecting on to the pedestal, by twisting it into place.